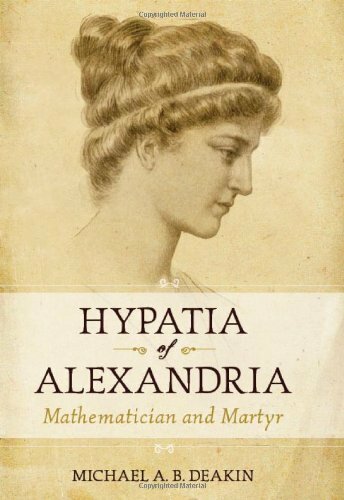 This is the first biography of Hypatia to integrate all aspects of her life. Mathematician Michael Deakin emphasizes that, though she was a philosopher, she was first and foremost a mathematician and astronomer of great accomplishment. In a fascinating narrative that brings to life a richly diverse ancient society, he describes her work so that the mathematics, presented in straightforward terms, finds its true place in the context of her life as a whole. Deakin supplies full detail on the historical, intellectual, and religious context of Hypatia's times. He also analyzes the pattern of her life and thought, and finally gives an account of the events leading up to her lynch-mob execution. Although this outrageous crime has made Hypatia a powerful symbol of intellectual freedom and feminist aspiration to this day, Deakin makes clear that the important intellectual contributions of her life's work should not be overshadowed by her tragic death.